Build relationships with your students by pronouncing their names correctly on the first day of the class. Asking students to record their names ahead of the first class meeting can help you get their names right on the first day, helping you create a respectful and friendly environment from the very start of the semester. In NameCoach, students can record their preferred name, thereby helping you learn your students’ preferences as well as their pronunciations. Use NameCoach in an icebreaker activity for your students, in face-to-face, hybrid, or online classes. 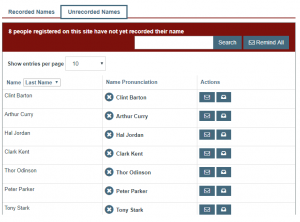 Once students have recorded their names, they can listen to one another’s recordings in the NameCoach tool. By learning student names early in the semester you might also encourage and enable students to learn their classmates’ names. Learning and using students’ names can help build a sense of community in your class, and students appreciate it when their instructors and peers make the effort to learn to pronounce their names (Igwe, 2016; Glenz, 2014). Middendorf & Osborn (1997) point out that “A professor who does not know his or her students’ names may be perceived as remote and unapproachable,” and they list 27 activities for learning student names. 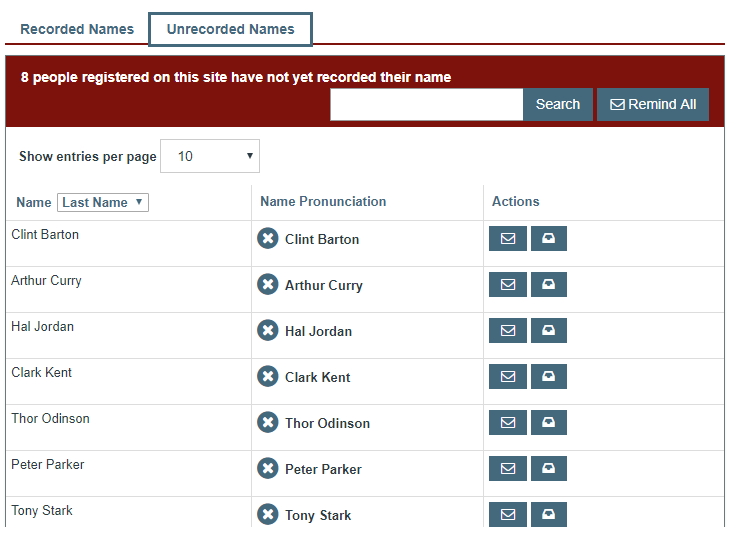 Use the NameCoach tool in your course site or the NameCoach Recorder tool in your Canvas Profile to record your name. Use a phone or your computer’s microphone to record your name. The web recorder does not work in Safari or Internet Explorer. Invite your students to record their names by sending them an email, creating activities, or sending reminders through the NameCoach tool in Canvas. Detailed steps for using NameCoach can be found in the IU Knowledge Base. If you would like to meet with a CITL consultant about NameCoach and ways to learn student names, feel free to schedule an appointment with us. I love this tool in Canvas! Another great idea in the KB is to create an assignment for students to record their names. The steps are available at https://kb.iu.edu/d/aprb. Michele, thank you for sharing this idea and useful resource.